Happy Easter Monday! I don’t know if many of you noticed but I took the long weekend off of my regular post schedule. I officially post on Mondays, Wednesdays and Fridays but in 2018 I’ve been posting on Sundays as well. My work week was long & tedious so I needed some time to chill out and film a few youtube videos. I took the long weekend off posting and it was exactly what I needed. I did post a few times on Instagram though, and speaking of Instagram, it’s time for my monthly Instagram Snap Recap! I’ve been focusing more on Instagram this year. In February I grew to 800 subscribers and my March goal was to hit 1K. Well, I did! My numbers are at a plateau right now, but I was so happy that I managed to grow so much (for a small account) since the start of the year. 1k is the number where small brand collaborations start to seem plausible so I was thrilled that things seem to be slowly growing. 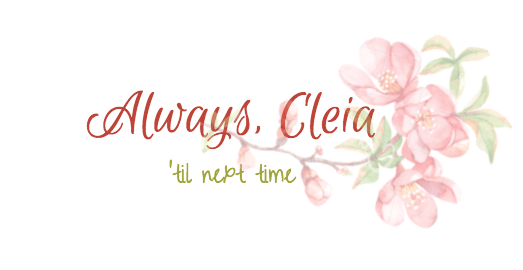 I would love to be able to turn Always, Cleia into a full time job one day in the distant future! For now I work by day and blog by night. Makeup from Sunday! Unfortunately I won't be playing with makeup much this week, I'm on early morning/middle of the night shifts until Friday. I'd like to film another video on Friday though! 😊 I've been experimenting with palette cocktails using the Nubian 2 palette from @juvias place. On Sunday I combined it with the @toofaced natural love palette to make a sunset half cut crease 😀 I was very glam while wearing sweatpants and a t shirt 😄 Do you guys mix palettes or do you prefer to use just one? Are we instagram friends? If not, we should be! Do you have separate Instagram account for your blog and personal use? I’ve thought about opening an Instagram for my blog but I don’t think I’d want it attached to my personal profile. Congrats on 1k!!! I do yes! All my friends and family follow my personal account and I have a separate blog account. I haven’t really told my family about my blog so I like having 2! Thank you! I think I’ll do the same and start one for my blog! I haven’t told anyone about my blog 😅 so keeping the two separate seems like a good idea! Also, your photos look really professional on the brand collabs! Thank you! I’m loving my new camera, it makes such a difference! Congrats on reaching 1K on Instagram! That’s a huge milestone! Awesome that you received your first two collaborations as well. Your blog is heading in the right direction! I was quite thrilled to be approached about testing some products, that’s never really happened to me before so it’s nice to get some encouragement!